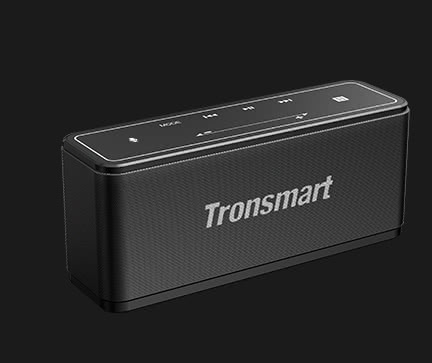 Uncover what creates Tronsmart powerful sound in a portable size Bluetooth speaker. It is well known that a speaker consists of the Passive Radiator, Amplifier (IC), Chamber, Power Adapter, Loudspeaker and other components. The output power of a speaker is determined by the size of the Amplifier (IC), Power Adapter, and loudspeaker. Traditionally, speakers that achieve a high level of sound are fixed in a single location; like a car speaker, home surround sound audio, or intercoms in buildings. These speakers have loud high-quality sound but they are restricted to one location. Alternatively, if you want to bring a high-quality speaker with you on-the-go, it will be large and bulky. The vast majority of portable speakers simply do not have enough power output to achieve the same level of sound as fixed speakers. 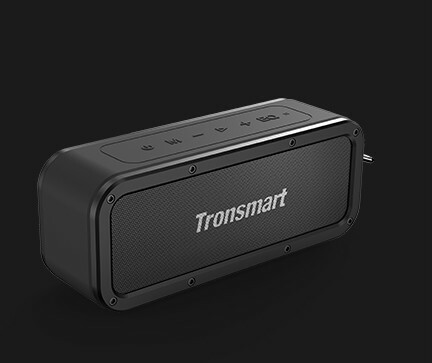 In order to achieve more power output and higher levels of sound, Tronsmart applies the customized power cells used on cars valued at thousands of dollars to a portable Bluetooth speaker. The power cells ensure that the instantaneous power supply of the speaker can be amplified by a factor of 5, while the other speakers use the energy cells which cannot ensure a stable performance although it is only amplified by a factor of 3. It’s like you upgraded your car engine from a 4 cylinder engine to a 6 cylinder engine. Engineering a portable speaker that achieves a 40W output requires more than just the correct assimilation of components. Applying a large power cell to a portable Bluetooth speaker requires sophisticated power allocation software. For this reason, Tronsmart devolved a unique patented algorithm called “SoundPulse™”, an upgraded version of DSP (Digital Audio Processing) technology which works alongside a customized chip and large power chamber. 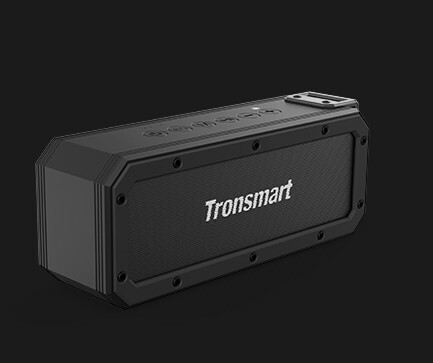 With this combination of advanced engineering and sophisticated software, Tronsmart SoundPulse™ technology has reached far beyond the industry standard creating a new generation of 40W Portable Bluetooth Speakers. Counteract harmonic distortion and eliminate noise. Ordinary speakers typically have sound defects, or harmonic distortion, within a certain frequency range. Tronsmart SoundPulse™ technology is able to counteract sound defects by eliminating any harsh noise; this makes the vocals more gentle, the sound richer, and allows you to enjoy your music for a longer period of time. During the 2K-3K frequency range, it can be seen that the pink line experiences harmonic distortion, while the yellow line remains consistent. This is an example of how Tronmart’s SoundPulse™ technology can counteract sound distortion and provide stable performance. Change the sound output position of the chamber - Broaden the sound range, strengthen the stereo sound effect. Ordinary speakers on the market generate sound deep inside the chamber of the speaker. This is hard to spread the sound range all around, meaning you have to be directly in front of the speaker to experience the full quality of the vocals. SoundPulse™ technology allows the sound to be projected from the front of the chamber; this enables a broad range of sound coverage which can fill your entire room with quality vocals. A common problem for full-range speakers is the inability to produce high-pitched vocals and deep bass simultaneously. SoundPulse™ technology allows differences in sound to be processed separately. This means the bass can be enhanced while still managing to produce high-pitched vocals. Tronsmart SoundPulse™ technology allows the DRC processing to keep the original sound wave. Ordinary speakers' DRC processing eliminates the peak point of the sound wave which distorts the sound. With the IPX7 waterproof rating & 40W max output, the Element Force can take your party anywhere. With the IPX7 waterproof rating & 40W max output, the Element Force+ delivers strong stereo sound. 40W max output portable Bluetooth speaker with intuitive touch control.